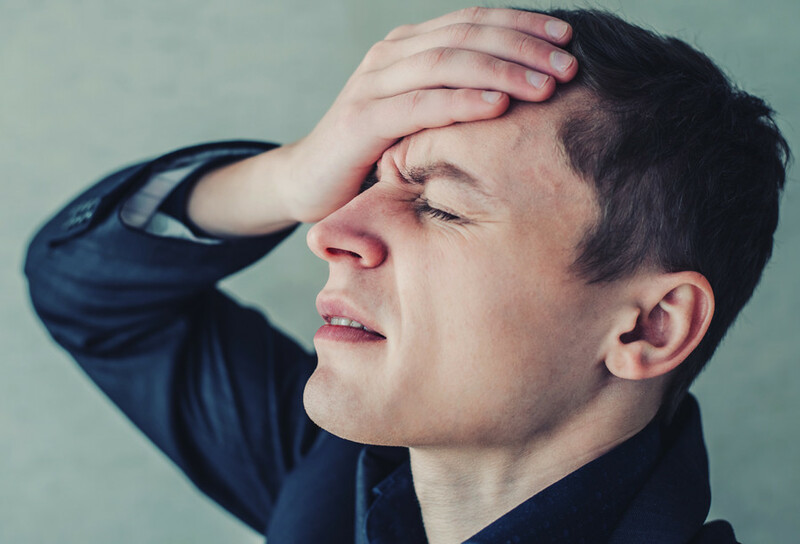 Winter’s harsh conditions can end up taking a serious toll on garage floors, considering they are almost always made of exposed concrete. 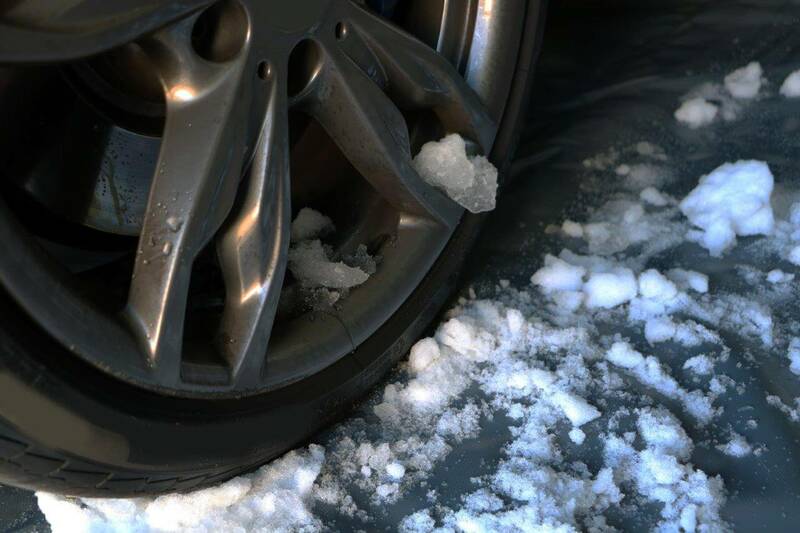 Deicing fluids and road salts that get rolled in from the roads on your vehicle’s tires and undercarriage and end up damaging the floor, forming salt stains that are almost impossible to remove and making your garage floor slippery and unsafe. 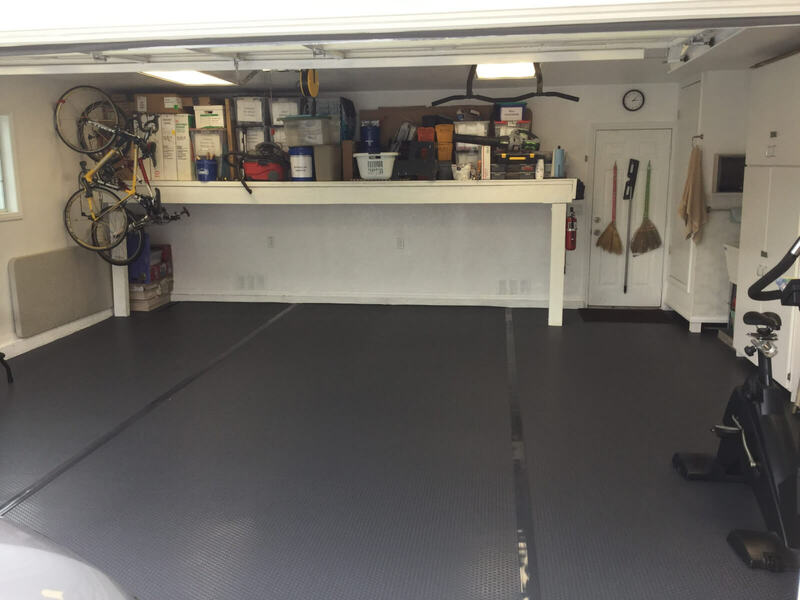 The simplest and fastest way to protect your garage floor’s bare concrete is to install a garage floor containment mat that will absorb the deicing fluids, melting snow, road salts, and any other harmful chemicals. The mat will be easier to clean without making a mess and easier to uninstall and pack away once Winter has passed. This is the most hassle-free solution for those looking to install a mat quickly. It is a one-piece garage floor mat with no assembly required. Keep snow, ice and grime off your garage floor with this simple fix. Open the box and unroll it onto your floor. It takes features from other popular containment mats and combines them into one. 1.18″ edges combined with fabric creates a total edge thickness of approximately 1.25”. 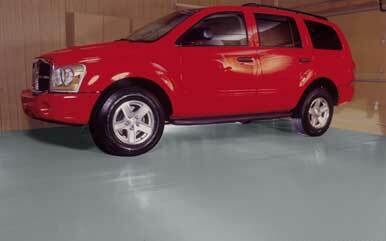 Made of PVC infused commercial material so it provides a high level of containment to protect your garage floor. Although it is relatively lightweight (approximately 25 pounds) it is still durable enough for the trucking industry, where you will often find this type of material being used and is often purchased in Canada, where they have some of the roughest winter conditions in North America. This absorbent garage floor containment mat is labeled as such because it has the ability to hold 5x its weight in water! It’s a great solution for the midwest which has cold, wet climates. 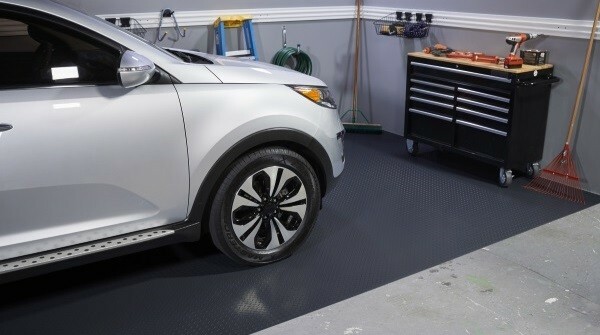 It’s designed to protect concrete with a waterproof, bonded backing that stops oil and other fluids from leaking through onto the garage floor. It is also slip resistant and will keep the mat in place. It can be easily washed with soap and water and is relatively durable + stain resistant. 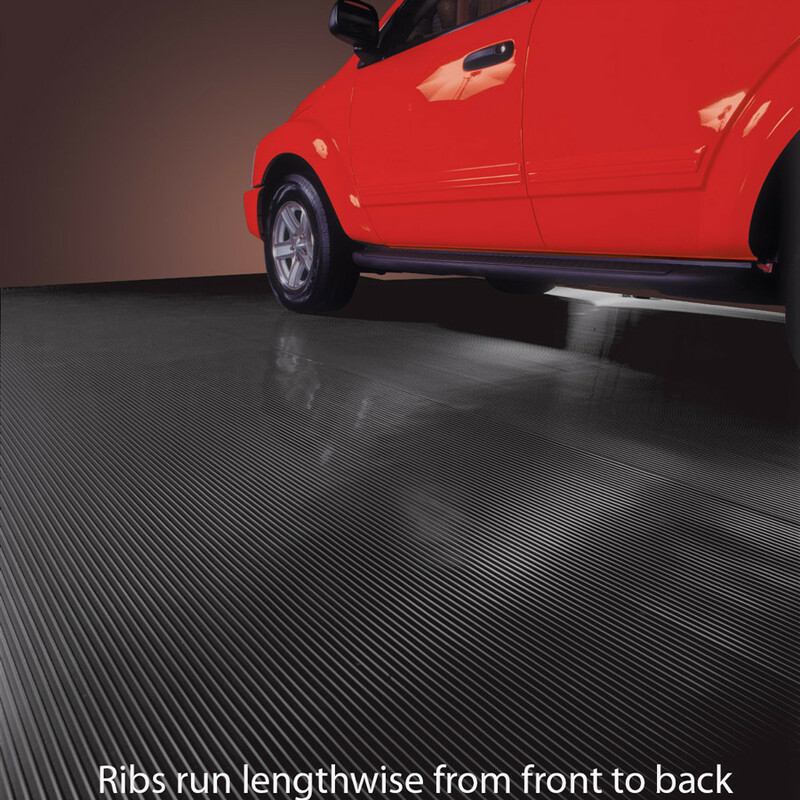 The most popular roll out solution is installing a roll out garage floor mat that covers the entire garage floor area. It ensures that no part of the concrete is damaged and you can have peace of mind knowing that there is no corner left exposed. 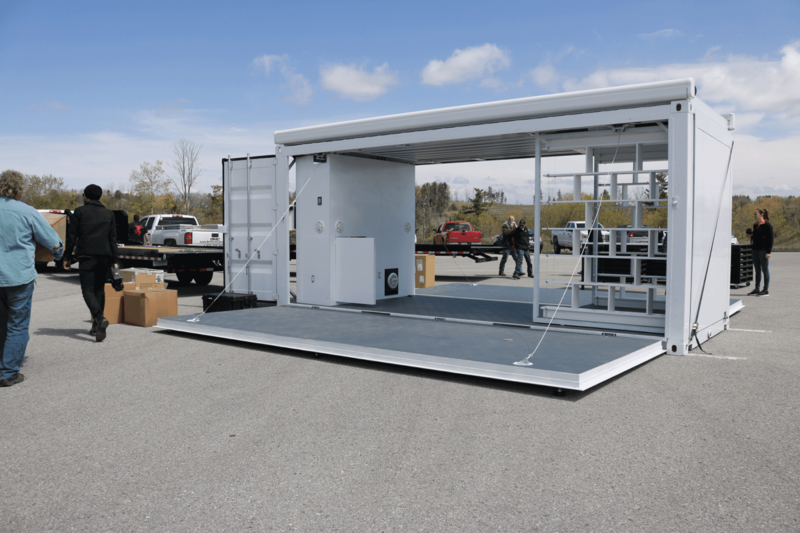 Best of all, installation is a simple roll out. If you’re looking for a permanent solution, you can use permanent BLT adhesive, but these mats can be rolled out easily without the need for chemicals or adhesives. The BLT (better life technology) G-Floor Mats garage floor containment mats are available in 4 different patterns and 6 different colors or even custom imaged or checkerboarded. 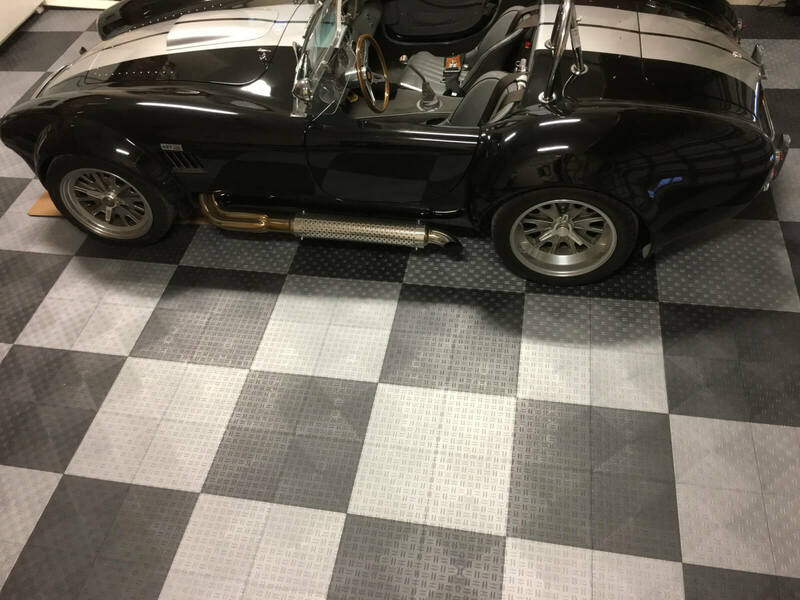 Choose from the small coin garage mat – a perfect combination of a thinner residential product and thicker commercial product; ribbed pattern garage mat – a texture that helps channel moisture and debris towards the garage door. This is a great solution for customers living in northern and midwestern climates looking for an affordable solution; Coin Pattern G-Floor Mat – a commercial grade, large coin patterned mat, available with 4 widths and several different lengths; and the Levant Smooth Garage Mats – an inexpensive smooth garage floor mat with a pebbled texture that provides high quality texture and is easy to clean. The 50 Mil Park Smart containment mats are the tried and true options that have been around for a long while. They offer the cleanest look and offer the ultimate protection against snow, ice, mud, rain, and grime. 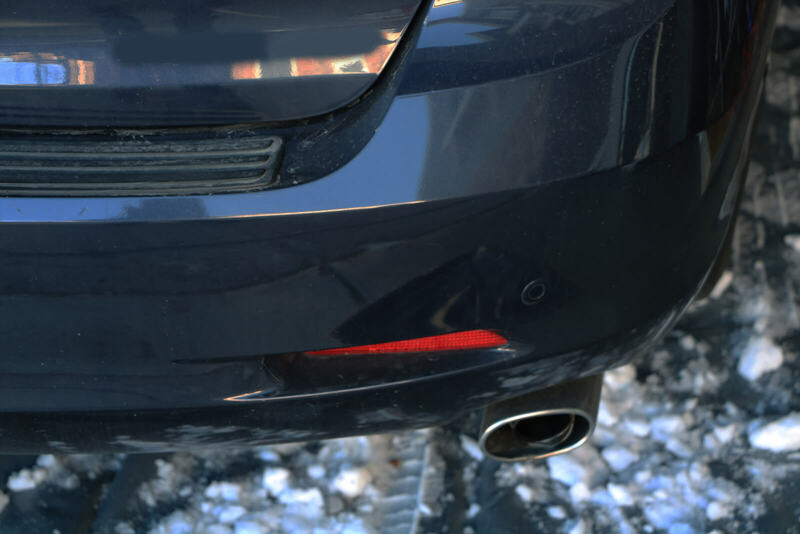 It catches and absorbs everything that comes off your car, truck or SUV. The 50 Mil Mat is 2.5 times thicker than the standard 20 Mil, more heavy duty and comes with a much longer warranty of 4 years and is backed by the 30-day money back guarantee. The 50 Mil is equipped for winter much better than the 20 mil – while there is assembly required, it is the better option to help protect your garage floor against the tough winter conditions. 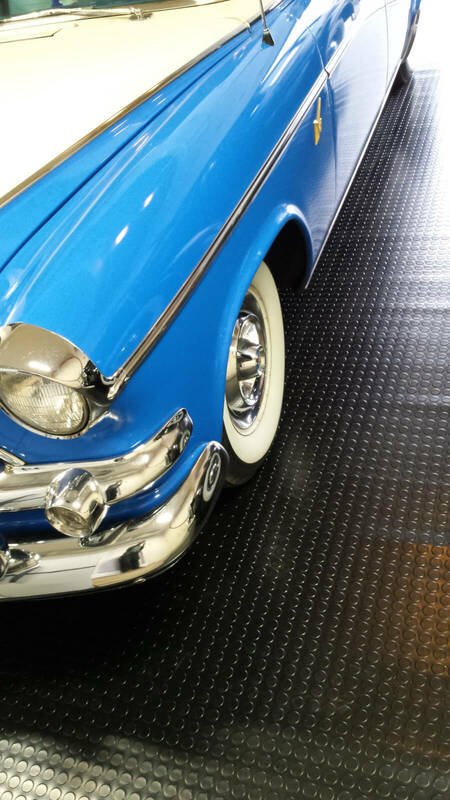 While there are plenty of other garage flooring containment mats and options like epoxy or coatings, these are some of the most durable and proven options that hold up the best in the extra harsh winter conditions that tend to do the most damage to exposed concrete flooring.